"This unexplained variability in outcomes between NICUs begs the question: What is the secret sauce? Why do some NICUs consistently outshine others in spite of the application of the same 'potentially best practices,' " the leaders of Children's award-winning NICU ask in an editorial published online July 12, 2018, by Archives of Disease in Childhood (ADC) – Fetal & Neonatal edition. The " 'secret sauce' may lie in establishing systems that promote the culture of quality and safety rather than waiting for a reduction in morbidity," write Drs. Soghier and Short. 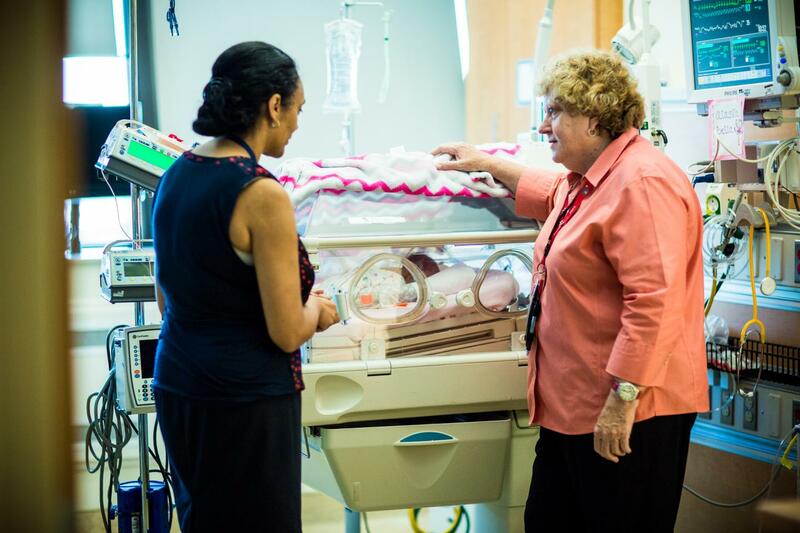 For the second year running, Children's neonatology division ranked No. 1 among NICUs ranked by U.S. News & World Report. Despite challenges inherent in being a "busy level IV NICU in a free-standing children's hospital with a rapidly growing capacity, higher levels of complex patients, [the] presence of trainees on rounds and routine 3:1 and 2:1 staffing models," Children's NICU has continued to have the lowest rates of such objective quality measures as central line-associated bloodstream infections and unintended extubations, they write. "We attribute our success to direct involvement of all levels of leadership in our unit in [performance improvement] PI initiatives, a dedicated local PI team, quality trained medical unit director, engagement of front-line staff in PI, the presence of local subject-matter experts, multidisciplinary diverse team both within the NICU and with other departments that bring an array of experiences and opinions and a supportive data infrastructure through local information technology, and use of the Children's Hospital Neonatal Database that allows benchmarking to other non-delivery NICUs, Drs. Soghier and Short write. "Our team finds motivation in solving local issues routine in our work, and leadership prioritises these issues and promotes engagement of front-line staff." The commentary was a companion to "Using a Composite Morbidity Score and Cultural Survey to Explore Characteristics of High Proficiency Neonatal Intensive Care Units," also published by ADC Fetal & Neonatal.